A five-year Human Resource Management and Development Plan (HRMDP) for 2011-2015 approved and adopted through Sangguniang Panlalawigan Resolution No. 2011-107. Developed with the assistance of the Australian Agency for International Development (AusAID)’s Provincial Roads Management Facility (PRMF), the Plan includes the provincial government’s Capacity Development Program and addresses human resources issues and challenges along the four phases of human resource (HR) management—recruitment, retention, rewards and recognition, and retirement. Includes sections on the following: Strategic direction of the Provincial Government of Bohol (PBGh), HR Situation in the PGBh, Proposed HR Management and Development Interventions, Role of HR Management Practitioners, Monitoring and Evaluation Plan, and Communication Plan. Available in PDF and can be downloaded through the link below. Can you please expound what you mean, so we can assist you better? Did you have problem downloading the document? Also, you need a PDF reader to open the document. We suggest you download and install Foxit Reader or PDF Xchange Viewer for best PDF reading experience. The document is about 4.6 MB and may take a few minutes to download especially on slow internet connection. Alternately, instead of just clicking on the download link, you may also try to right-click on the link and select “Save linked content as…” or anything to that effect depending on your browser, to download the document. Thank you for the compliment Mr. Bernardo. We have forwarded your request/comment to the person/s in-charge of the HRMDP. They will be communicating to your shortly. its a very useful tool especially for us looking for references. Congratulation. hello Sir! I too am impressed with your HRMD Plan. We are developing one of our own and I would like to ask if it could be possible to get a copy of the questionnaire you used for your skills inventory. It would be of much help to us. Thank You! Hi Dian, thank you for the compliment. Sorry for the delay but we have to ask from our HRMDO for the form you are asking. You may access the Training Needs Assessment Form from the link below. thank you Sir Willy! I really appreciate you sharing this. More power! 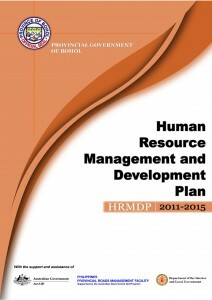 can i see the sample of your human resource development plan?.. You just don’t get a sample, you’ll get the whole thing. Just click on the link you’ll find on that webpage. Hello Anne, please follow on the comments thread and you’ll find a download link to the questionnaires. Hi there, may I download and make your HRMDP as our reference. We are planning to make one for our municipal government. Thank you very much. Yes of course you can, That is why it is there.